Top Tips For People With Diabetes At Parkrun | Life, Sport and Diabetes - An everyday look at my life with type 1 diabetes. Today marks International Parkrun Day and also Parkrun's 13th birthday! If you haven't attended a Parkrun event before, they're a free event held on a Saturday morning all across the UK. The events are volunteer run and give everyone the opportunity to walk, jog or run a timed 5k. For the last few months I've been helping out as a Parkrun Diabetes Champion for the UK and have really enjoyed playing an active role in getting more people with diabetes engaged in physical activity through Parkrun. So here are my top tips for people with diabetes at Parkrun, whether you're planning your first time to attend or are a regular attendee. Before I attend Parkrun, during if I need to and always afterwards I like to check my blood glucose levels to see what's going on. I find that it helps me worry less about what my diabetes is doing whilst I'm running if I'm well informed. There are a couple of other people with diabetes at my local Parkrun and we often like to check our levels at the same time when we complete our walk/jog/run! When I've attended Parkrun in the past, I've always felt quite loud when I'm running because the blood glucose strips in my pocket noisily rattle! But they need to stay in their tube so that they're dry and don't become damaged which could produce a false reading. So this week I gently put some tissue into the tube to prevent my strips from rattling and it worked. Whilst I'm aware that there's no need to tell every person you meet that you have diabetes, I do still think it's important for people around you to be aware that you have the condition, in case of a hypo for example. The Parkrun Diabetes Champions are working hard behind the scenes to share the symptoms of hypos with the volunteer teams. But I also wear either a medical alert band or since buying one recently, a Parkrun barcode band because you can add diabetes as a medical condition to this and a number for an in case of emergency contact. In case of low blood glucose levels I like to carry a source of fast-acting glucose with me such as dextrose tablets and jelly babies. Everybody has their own preference for hypo treatments, because everyone's diabetes is different. But I find it's good to have with me on my run just in case. 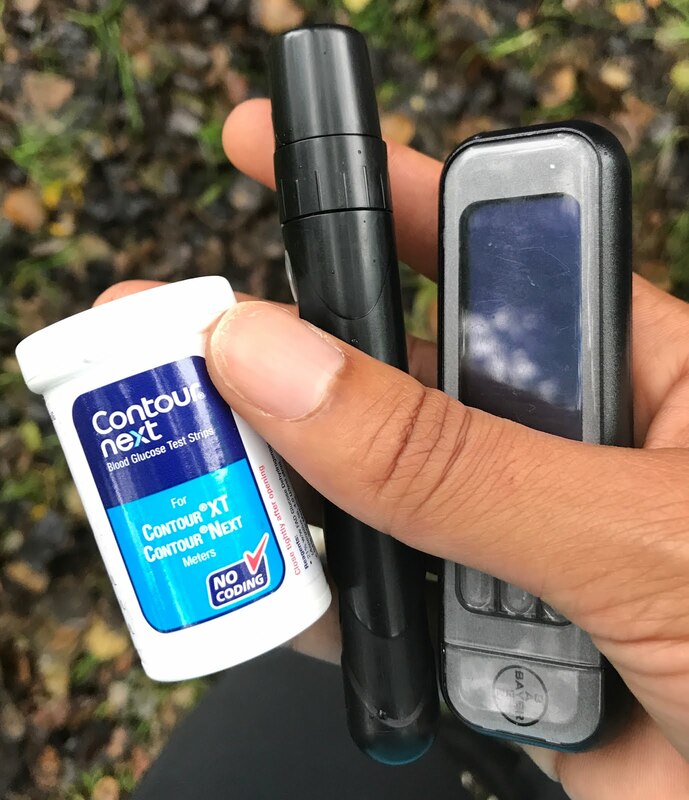 I know we can have quite a bit to carry with our diabetes kit and glucose sources, but I find that wearing leggings or a jacket with a pocket allows me to go 'hands-free' by storing everything I need whilst out on the run with me, so that I haven't got to hold it in my hands. I also find the waist belts really helpful to wear under a running vest to carry kit and supplies. Many of us are aware that looking after our feet is especially important as walkers/joggers/runners and as people with diabetes as we're at higher risk of foot complications. So I think good fitting footwear can make a real difference, as can checking our feet after the Parkrun/ drying them properly if it's been a wet outing. 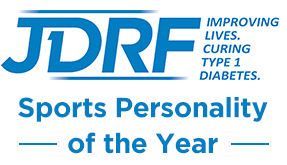 Diabetes and sport can be a hurdle to many who wish to be involved in physical activity as it can take a bit of planning and glucose level management. However for me, planning is the key to overcoming diabetes hurdles and the benefits to health are incredibly rewarding. Don't forget that you don't have to walk/jog/run to be part of Parkrun, volunteering is what keeps the events running so well and is a great way to get to grips with how the event works before committing. I find that being well hydrated before and after my run especially, is an essential component in managing my blood glucose levels and preventing dehydration. But my absolute top tip is to enjoy Parkrun whether you walk, jog or run, stay safe and have fun!